Scotland’s Bruichladdich distillery, purchased by Rémy Cointreau in 2012, has carved out a niche by focusing on the terroir of Islay. That strategy has paid off—the Bruichladdich brand was up 33 percent in the 52 weeks ended June 18th, according to Nielsen. “The story about terroir, transparency and authenticity resonates with consumers,” says Judd Zusel, vice president of marketing and innovation for Bruichladdich and The Botanist at Rémy Cointreau USA. Marketing is centered around the “Terroir Matters” slogan and emphasizes that Bruichladdich uses only Scottish barley and matures all its whisky on Islay. 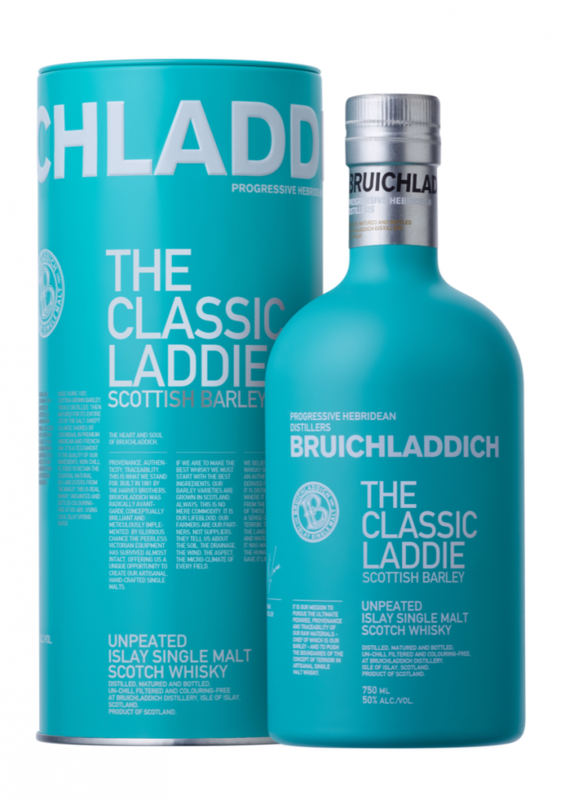 The Bruichladdich single malt range includes The Classic Laddie ($54.99 a 750-ml. bottle), Port Charlotte Scottish Barley ($59.99), Islay Barley ($64.99), Octomore ($234.99) and Black Art ($399.99). The brand also offers The Botanist gin ($39.99), made from 22 Islay botanicals. The gin was up 78 percent in the 52 weeks ended June 18th, according to Nielsen. Zusel notes that Bruichladdich does well with whisk(e)y geeks, young professionals, and Bourbon and craft spirits drinkers. Top markets include the Northeast, Florida, Texas, Illinois, Colorado, Washington, Oregon and California. This summer, the company replaced the 2007 Islay Barley with a 2009 vintage. In October, Bruichladdich is launching the Wee Laddie Tasting Collection holiday sampler pack ($59.99), containing 200-ml. bottles of The Classic Laddie, Port Charlotte Scottish Barley and the 2007 Islay Barley. The company will also introduce Black Art V and a range of three limited-edition products in December.